PayCart was developed with an aim to sell physical products in an eCommerce environment that customers would love to use and come back to. Our customers liked the product and in a short span of time, we got many requests to empower merchants to sell downloadable products using PayCart. We are excited to announce that now onwards you can sell digital products also using PayCart We would like to thank all our customers for their love & trust. We ensure that we will never let you down. This is an era of creative people and your creativity can help you earn money online. Even your intangible creations can also be sold online with utmost ease. It only takes a few steps to start selling your digital products online with PayCart. 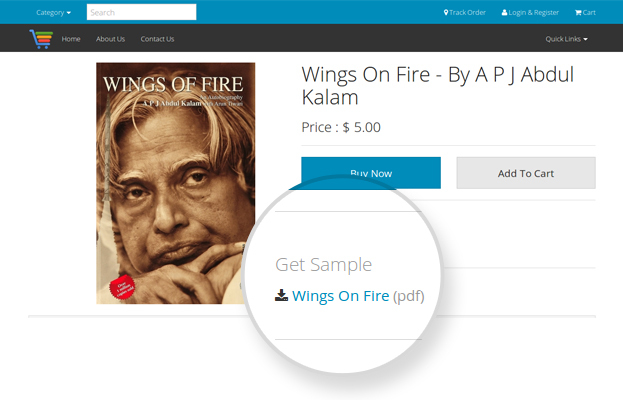 What Will You Get with Digital Download Feature of PayCart? The process is fairly simple, where the customer just buys the product, and gets instant download access. EBooks - The most popular digital downloads are eBook and with plenty of reasons.The massive upswell in electronic reading has skyrocketed and has caused a decline in traditional books. In eCommerce industry, many players entered with ebook selling and became king size players of markets. As a sole domain, Amazon, Apple, Flipkart are few examples of big shots. Because of this era of ebooks, entry-level writers can also jump in and start making money. All you need is an Internet access and a good idea. Setting up a site for your ebooks is extremely simple, you get to keep 100% of your profits with 100% attention. Music - Your art provides you name and fame, it's a killer quality of humans. If you have something unique which can grasp followers, you are the hero of today's scenario. With your own eCommerce store, you get to keep every single cent of your money every time someone downloads your music, sound effects etc. 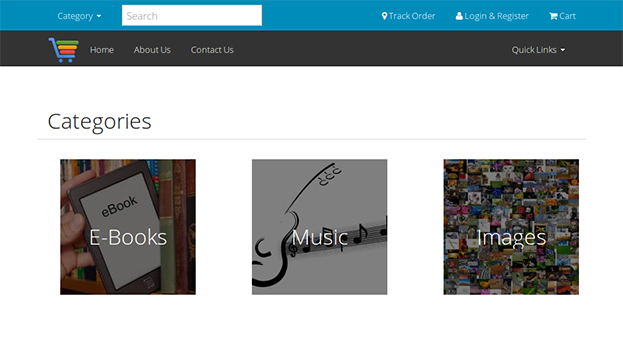 You can create your own custom website and distribute music to them right from your site. Photography - A photo is worth a thousand words. Many a times photographers have a compelling story to go along with their photos. Like a merchant selling a product, the quality of photo really improves your chance to sell it to someone. pAlthough there are plenty of big 3rd party names like Shutterstock, Photocrati, SmugMug, Zenfolio, DigiLabs, Shutterfly, Zazzle, iStock who may help to bring your business online. But, what if they don't like your idea? Got a DSLR? In that case, you're ready for business with PayCart. No kidding. Selling photographes is easy. Obviously, making a name for yourself takes time but if you have potential you can!! Videos & Courses - Knowledge is priceless, that's why educational content provider is a big successful industry in today's world. Portals like youtube, udemy, lynda are some excellent examples to show what informal education means. Having your own site will allow you to tell your story and really position yourself as an expert in your field. Whatever you are good at - Yoga, Dance, finance, entrepreneurship or any of your expert advice may be shared with the world through your own website. Software, Games and Apps - If you're a web designer, web developer, games designer, graphics designer or want to sell any web element, apps or software, then youâre in luck. People are paying a lot of money for software, apps, games, template, logos, wallpapers, fonts and much more you can think of. Recipes - Whether you're a professional chef or a food enthusiast with talent of cooking, you might be able to earn extra money selling recipe ideas. Every place has unique and special taste. You can offer the recipes of local cuisines to the whole world So hardly matters if you are Indian, Italian, Chinese or American. All dishes are at your finger tips. These recipes make world closer. In India, we love to eat Pizza, Noodles, Pasta, fast foods and food from other regions of India. Thanks to digital world it is now simple and fast. eTickets - If you want to start business by selling tickets of events then PayCart is a right choice for you. If you like Indian music, you probably know people can pay to see their hot Indian bands. You can sell tickets for various events which you organize or you may help event organizers sell tickets online, right from your website. What you need to sell digital goods from your website. Its fairly simple to sell digital goods online. It just needs your online Joomla Site and PayCart. All you digital goods are stored in your website only. 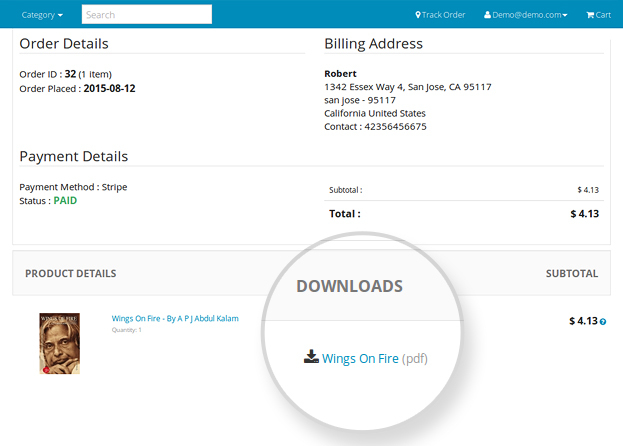 PayCart only facilitates download to the buyers when they purchase it. How to set them up on your site ? After installing PayCart on your site, you need to follow simple steps to create digital product using Catalog section. 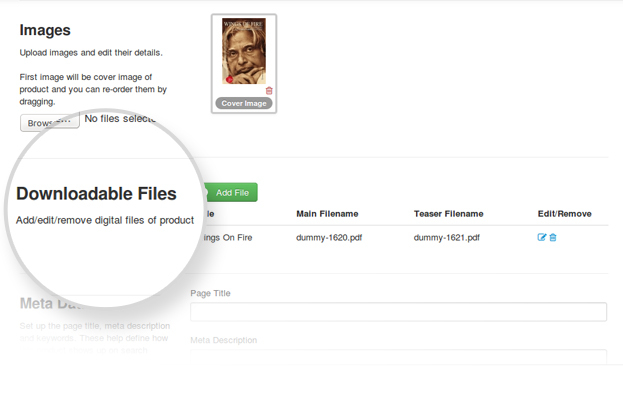 In this you can provide some teaser file or sample file to show your product preview to your customers and boost your business. As customer purchase it, they will get instant download access and you will get your money. Digital downloads is a billion dollar industry. Starting your own online store allows you to brand yourself, market yourself and sell your digital or intangible items on your terms. Choose any of the PayCart plan and start earning! Explore - How to Sell Digital Products? "Selling Gets More Exciting with Great Discount on PayCart, Get upto $150 Off"
Hurry.. It is limited period offer. If you have any questions, feedback, do not hesitate to drop us a comment. We would get back to you as soon as possible. Did you find PayCart an interesting eCommerce solution? Subscribe to us to hear more about it.